[Geneva, Switzerland – November 19, 2018] – Geneva cruise giant MSC Cruises announced today that current bookings are being accepted for its MSC Virtuosa. The luxury liner, whose inaugural season begins November 8, 2020, will feature cruise holidays in the Western Mediterranean. Bookings for the cruise ship are exclusively available to MSC Voyagers Club participants, which is one of the perks of the club program. Bookings for other MSC cruise guests can be made starting December 3, 2018. 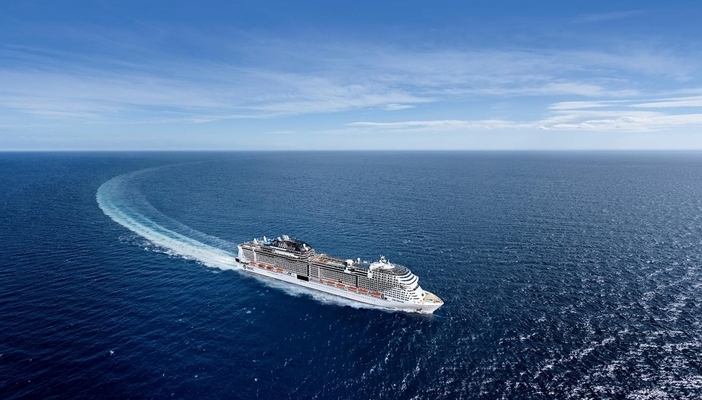 The MSC Virtuosa represents the second Meraviglia-plus cruise ship in the cruise line’s fleet with rich, elegant onboard features and additional cabin selections for guests. MSC cruise guests can enjoy a broad range of entertainment, shopping, and leisure options when sailing on the acclaimed cruise vessel. For instance, guests can experience the latest technological advances during their stay on the ship. Zoe, a digital assistant provided by the cruise line, will be featured in each cabin. The artificially intelligent digital helper speaks seven languages and can provide guests with all the onboard information they need. The MSC Virtuosa will stop at ports such as Genoa, Marseille, and Barcelona. If you want to sail and see the Western Mediterranean, book a cruise holiday. By planning ahead, you can learn more about the region and enjoy your trip even more when it finally begins.